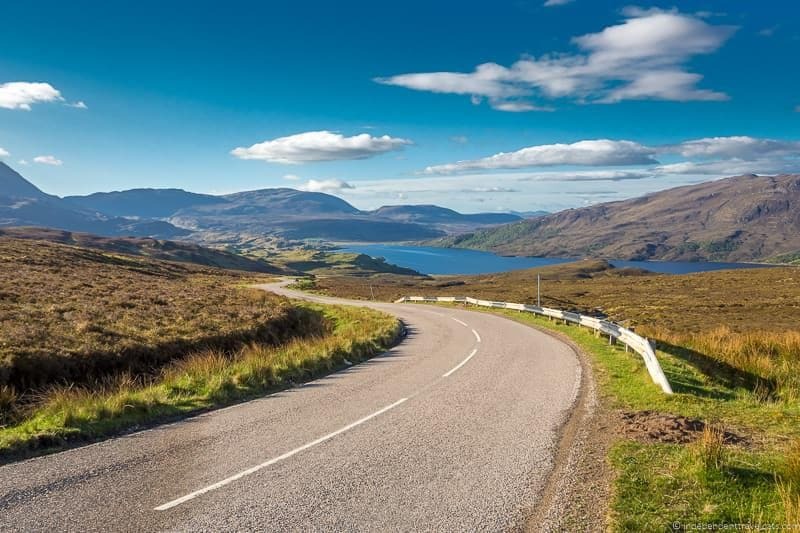 The North Coast 500 (NC500) is one of Scotland’s most spectacular driving routes, covering 500 miles of the gorgeous northern Scottish Highlands. The NC500 begins and end in Inverness, hugging the northern coastline for a large part of the route. 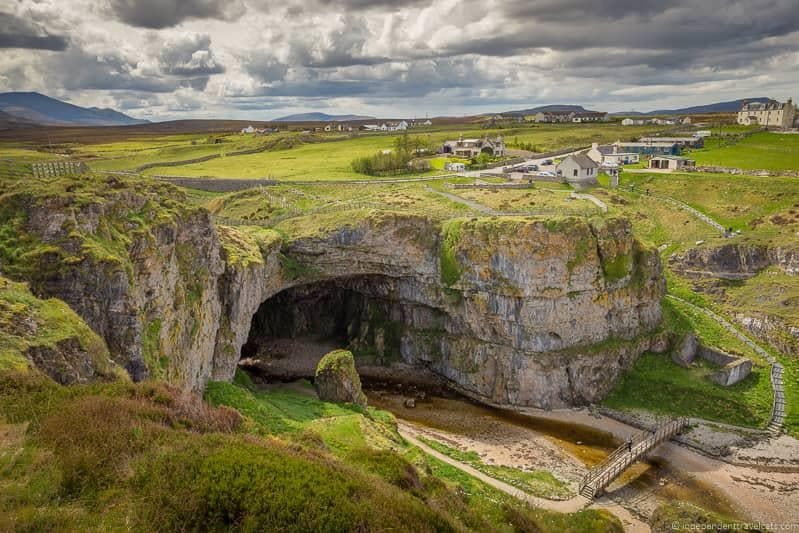 There are so many good reasons to drive the North Coast 500 as you have the chance to enjoy such a variety of attractions, activities, and landscapes. These include touring beautiful castles, teeing off at world-class golf courses, photographing picturesque waterfalls, eating fresh local seafood, canoeing on glassy lochs, exploring Iron Age historical sites, lying on sandy beaches, touching 3 billion year old rocks, and enjoying wonderful local Scottish hospitality. These are just a few of the reasons that should have you planning your North Coast 500 road trip! 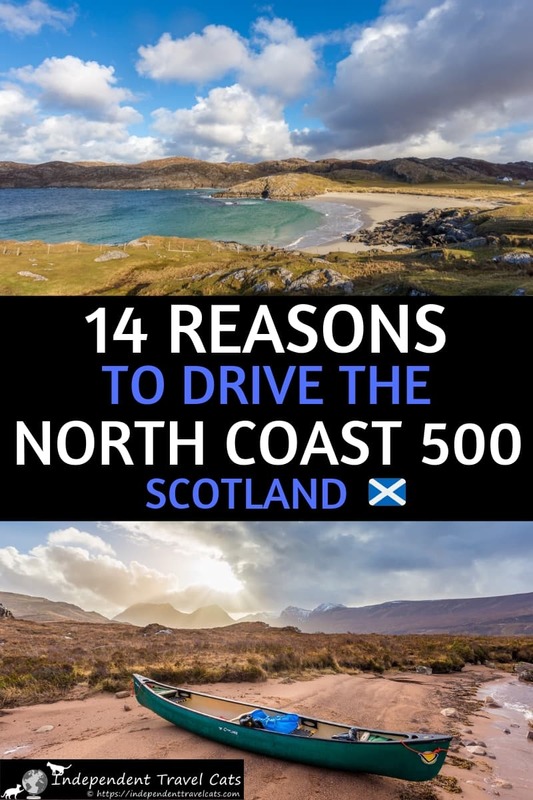 We truly believe that there is something for everyone along the North Coast 500, no matter what your interests or travel style, and we are going to present 14 of the top reasons you may want to drive the NC500. These include our own personal reasons why we keep driving this route again and again! There are loads of reasons to drive the North Coast 500 but we are going to present our top 14 in no particular order. We bet that you’ll find at least a half dozen of these appealing, and soon you be planning your first North Coast 500 road trip! Probably the most popular reason that people choose to drive the North Coast 500 is the scenery. The Scottish Highlands is well known for its scenery and this northern section is no exception! The diverse scenery along the route includes rugged coastline, wetlands, farmland, rivers, forests, lochs, sandy beaches, and mountains. In addition to landscapes, you also have wildlife, castles, historical sites, pretty villages, bridges, islands, waterfalls, harbors, and other scenic sites. Views of places like Dunrobin Castle, Duncansby Head, Achmelvich Beach, Ben Hope, Suilven, Ullapool harbor, Corrieshalloch Gorge, and Rogie Falls will keep you captivated and reaching for your camera. If you are into photography, here is our North Coast 500 photography guide which highlights some of our favorite spots. If you enjoy outdoor activities, Scotland’s North Coast 500 absolutely has you covered. There are plenty of opportunities to get out of the car, stretch your legs, and get active. Whether your idea of outdoor pursuits is climbing a mountain or teeing off at a championship golf course, you’ll find plenty to do. Some of the main activities include hiking, mountaineering, kayaking, golfing, boating, fishing, clay pigeon shooting, birdwatching, stalking, ziplining, canoeing, wildlife spotting, camping, and geo-cacheing. This area is also the gateway to many of Scotland’s northern islands like the Orkney Islands, Summer Isles, and Outer Hebrides which can all be reached by ferry. There are some beautiful beaches along the North Coast 500, although the water tends to be fairly cold year round. Although some people do swim at the beaches in summer, you’ll notice most people use the beaches for walking, suntanning, picnicking, and beach activities like frisbee. Braver souls can go swimming, snorkeling, diving, and even surfing! Surfing is best in the winter if you are more experienced (larger waves) and better in the warmer months if you are not an experienced surfer (gentler waves). If you plan to spend much time in the water, you’ll want to bring or rent a drysuit as the water is almost never warm in Scotland. Our favorite activity is probably walking and hiking, and there are probably at least a hundred hiking trails near or along the North Coast 500! These range from scenic flat easy walks to strenuous multi-day trails into the mountains. Hiking trails are everywhere along the route and we’ve often chosen trails based on recommendations from locals we met at the hotels, restaurants, or visitor centers along the route. We also recommend the Walk Highlands website which is an excellent resource and you can search it by town or area (e.g., Assynt, Sutherland, Wester Ross). Many of the hotels and B&B’s we stayed in also had local and regional hiking guides which we have found to be very helpful. 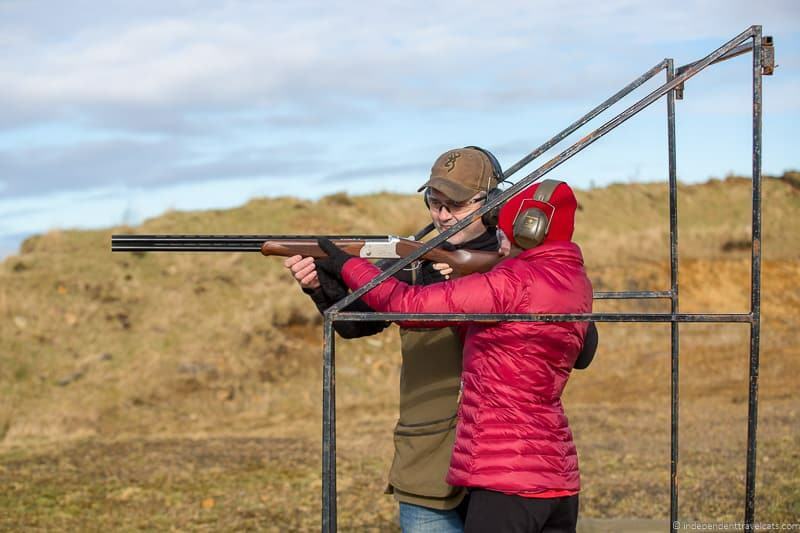 In addition to hiking, we have also done a variety of other outdoor activities along the North Coast 500 that range from clay pigeon shooting to kayaking to a deer and wildlife tour. One of the many joys of hiring a guide or taking a tour is that you also get access to lots of local knowledge from the best local restaurants to the best photography spots in the area! 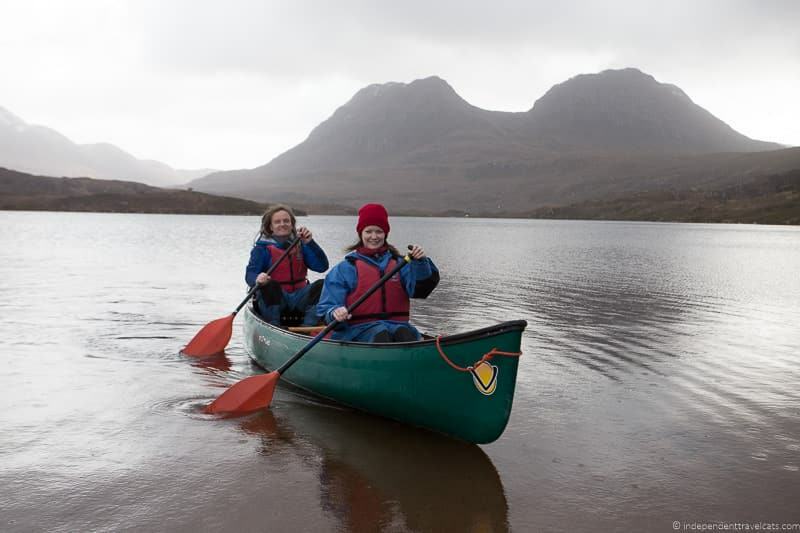 Some that we can personally recommend are a wildlife boat tour with Ecoventures from Cromarty, clay pigeon shooting near Wick, fly fishing (from river, shore, or boat) with Stewart of Assynt Fly Fishing, canoeing (or sea kayaking or guided mountaineering!) with Tim from Hamlet Mountaineering, and a guided tour to see deer with gamekeeper Colin at Reraig Forest near Lochcarron. Almost all guided activities require advanced booking, and we’d recommend booking as soon as you know your dates to avoid disappointment as many of the places we recommend have only one or two employees! We already mentioned golf as part of the outdoor activities, but it deserves a special mention as so many people come to Scotland because of its golf history and number of well-known courses. Golf originated in Scotland in the 15th century and the Old Course in St. Andrews is considered the world’s oldest existing golf course. You’ll find over a dozen golf courses near or along the North Coast 500. Most of these golf courses are situated along the coast and have scenic views of the sea. You’ll find the largest number of courses between Inverness and Dornoch, as well as several around nearby Nairn. Golf courses along the NC500 range from beginner friendly with modest fees to more difficult championship level courses with much higher fees. 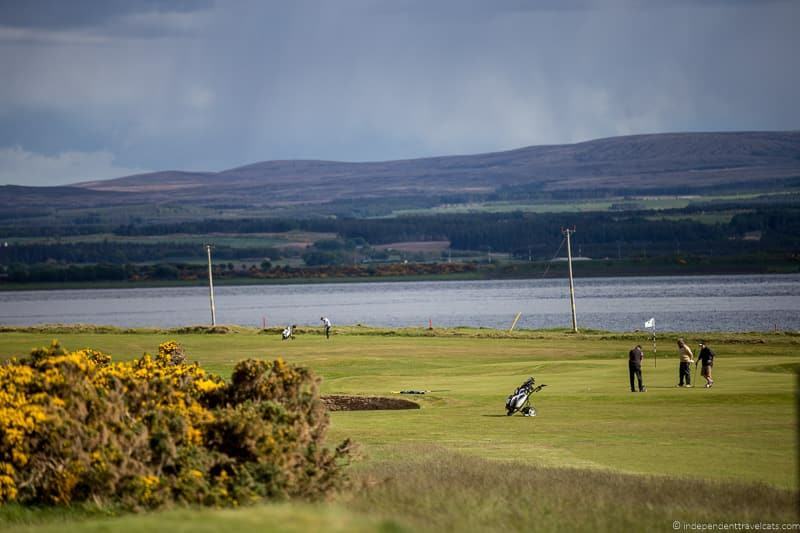 For those wanting to play the top rated courses, we’d recommend checking out the Royal Dornoch Championship Course in Dornoch, Castle Stuart Golf Links near Nairn, and the championship course at The Nairn Golf Club in Nairn. We’d recommend scheduling your tee times well in advance, especially at the top courses which can book up months in advance. If your trip to Scotland revolves around golf, I would recommend checking out this book that discusses all the main courses in Scotland and offers travel planning advice for golfers. Scotland is known around the world for its whisky, and most visitors to Scotland want to try at least a dram or two of whisky during their trip. You won’t have trouble finding local whisky along the North Coast 500, whether you want to drink it from a whisky bar, a local pub, a restaurant, or the distillery itself. The majority of the whisky distilleries are situated around the eastern and northeastern parts of the route. 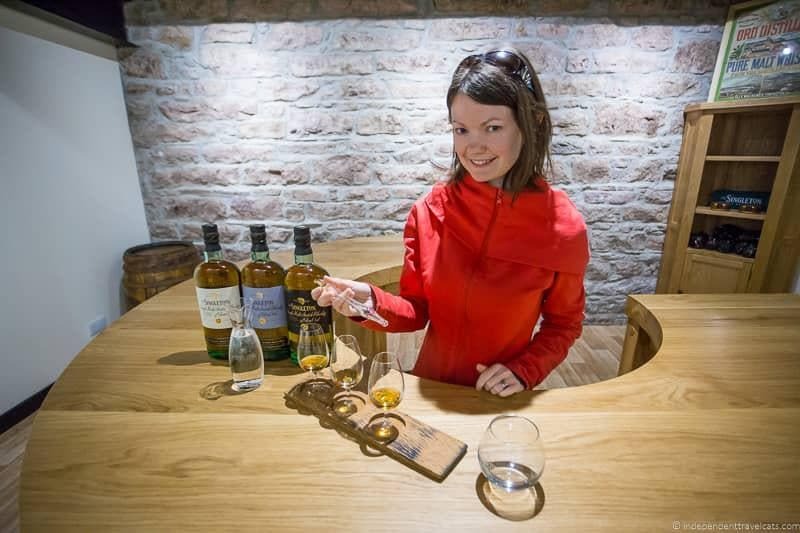 Ones you can visit along the NC500 include Glen Ord Distillery, Glenmorangie Distillery, Clynelish Distillery, Dalmore Distillery, and Old Pulteney Distillery. 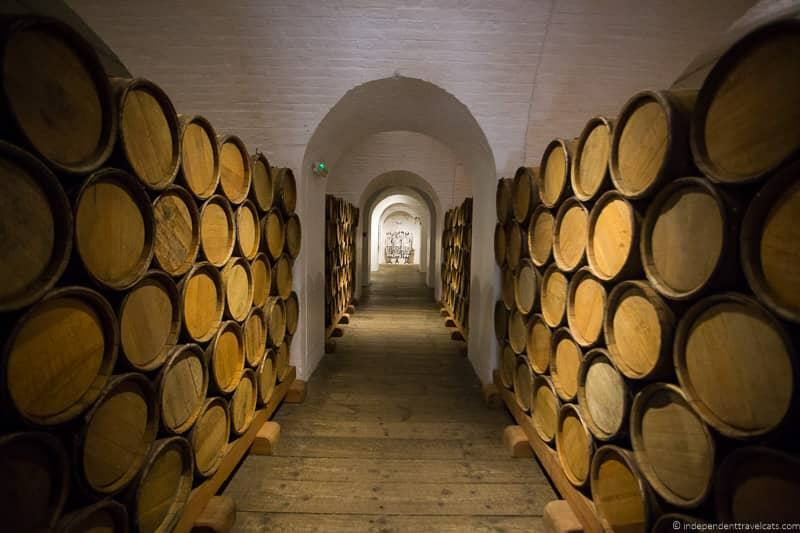 Those who really want to try to visit a number of the distilleries can follow this NC500 whisky heritage trail! Scotland also has a growing craft beer industry and gin scene and you’ll find a bit of everything along the North Coast 500. For beer lovers, local breweries you can visit include the Black Isle Brewery and Cromarty Brewing, both located on the Black Isle. For gin and vodka head north to Dunnet Bay Distillery which has become very well-known for its Rock Rose gin and its beautiful bottles. Most distilleries and breweries give public tours and tastings, but some you’ll need to book in advance. So check the website or call them before stopping by. Also, note the Scottish drinking and driving laws are very strict, so almost all distilleries offer sample cups to go for drivers and bikers! Note: In Scotland, whisky is spelled without the “e” unlike in most other parts of the world. So Scottish whiskies are generally written as “whisky” and Irish or American whiskies are usually spelled “whiskey”. One of our favorite things about driving the North Coast 500 is the opportunities it has given us to meet all sorts of lovely people. We have chatted with lots of people along the route with all kinds of backgrounds—crofters, fishermen, restaurant staff, hotel owners, bar keepers, park rangers, organization directors, farmers, scientists, and museum workers. The majority of people in the Scottish Highlands are easy to talk to and willing to share and give advice. As you travel along the route, we highly recommend taking the time to stop and chat with the local people. Listen to their stories and ask their advice. Whether you are interested in local hiking trails, scenic viewpoints, or town history, these folks will almost certainly have some information to share. The Scottish are renowned for their friendly hospitality, and we have certainly found this to be the case. Whether you are staying in a luxury castle hotel or a simple B&B, you can expect a friendly greeting, warm welcome, and often an offer of a hot beverage. If you are looking for lodging suggestions check out our North Coast 500 accommodation guide and our North Coast 500 B&B guide. Similarly, we have found good service in the eateries, museums, attractions, and parks. Even though many of the people at the parks and museums are volunteers, they have often gone out of their way to explain or show us things when we have expressed an interest. This great hospitality is one of the things that keeps drawing us back to this area. Your only task is to be a willing and kind recipient of good hospitality. A kind thank you can often go a long way, especially during the busy summer months. Also note that many of the museums, visitor centers, churches, and historical sites are free to visitors but depend on volunteers, limited funding, and donations to stay open. So try to be generous—a small donation or a gift shop purchase can really help support a site and keep it open for future visitors. We believe that spending our money in places we enjoy is one of the keys to responsible and sustainable travel. Getting to know some of the people along the NC500 and learning how the North Coast 500 has affected their lives and businesses has been really interesting. We really feel that we have made some truly local connections during our road trips. Advice for our trip was always freely offered, and we’re already looking forward to driving the route again and meeting up with many of them again! The North Coast 500 offers a wide variety in terms of food. Although you won’t find the large array of options that you would expect in larger cities like Edinburgh and Glasgow, you’ll still find a lot of great places to eat. Given the more remote locations, most focus on the use of local produce and products. Restaurants along the route range from Michelin-starred restaurants to simple cafes serving soup and sandwiches. Inverness definitely has the most options in terms of eateries along the route, followed by smaller towns like Ullapool, Wick, Thurso, and Lochinver. It is definitely good to think ahead about where you plan to eat each day, especially for dinner as options can be limited in the evening if you are staying in a small town or rural area. Often hotels and pubs are the only places serving food in the evenings in smaller towns and some hotels require dinner reservations. Also for those cooking for themselves, it is good to pick up any needed groceries and supplies during the day or early evening as many of the smaller stores close relatively early. The focus on many menus is fresh and local produce. We recommend trying the local seafood (e.g., salmon, crabs, scallops), lamb, game, Stornoway black pudding (from the Summer Isles), and fresh in-season vegetables. If this is your first time in Scotland, you’ll probably want to try some traditional Scottish dishes like haggis, black pudding, cullen skink (smoked haddock, potato, & onion soup), stovies (potato dish), and cranachan (dessert). 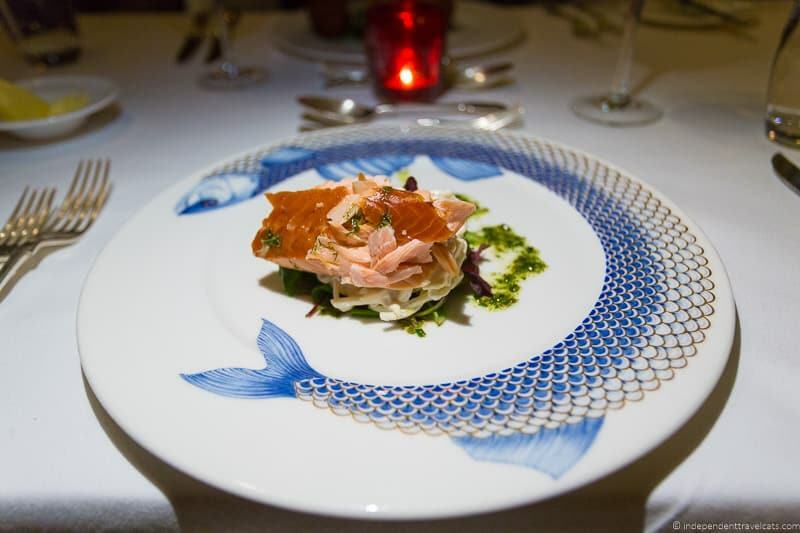 Inverness has loads of restaurant options, a few we’ve enjoyed are The Mustard Seed, the Chez Roux restaurant at the Rocpool Reserve Hotel, The Kitchen Brassiere, and Eden Court Theatre (has a cafe and restaurant). Lochinver has a number of food spots given its size which include Peet’s Restaurant (known for seafood), The Caberfeidh (gastropub), Lochinver Larder (lunches, carry-out pies), and Chez Roux restaurant at Inver Lodge (fine dining, dinner only). Other spots we’d recommend along the route for sit-down meals include Boath House hotel restaurant near Nairn (Michelin-starred), Dornoch Castle Hotel restaurant in Dornoch, Y-Not Bar and Grill in Thurso, Kylesku Hotel restaurant (seafood), The Ceilidh Place and The Arch Inn in Ullapool, and The Torridon in Annat (cafe and pub food at Inn and fine dining restaurant at hotel). A couple of places we can recommend for picnic supplies along the route are Robertsons The Larder farm shop and Isle of Ewe Smokehouse (fish and seafood). We absolutely love a good road trip! There’s nothing quite like the freedom of the open road, setting your own itinerary, stopping when and where you want, exploring side roads as you wish, and generally exploring at your own pace. 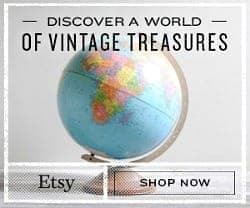 We’ve road tripped all over the world, including such iconic drives as Route 66, California’s Pacific Coast Highway, and Australia’s Great Ocean Road. All road trips offer something unique and the NC500 is no different. We’ve loved our time along the North Coast 500 and in fact we are heading up again to drive it a fifth time in a couple of months. So get in your car or campervan or climb on your motorcycle or bicycle and see where the road takes you! Note: For those with hybrid or electrical vehicles, there are a number of electrical charging points along the route, including rapid charge points. The North Coast 500 route takes you through regions of northern Scotland that are rich in history, both ancient and modern. Whether your interest is in Picts, Vikings, Highland clans, the Highland clearances, military history, or crofting, you’ll find plenty of interest along the route. You can explore Pictish stones, local history and heritage museums, cairns, abandoned Highland Clearances villages, important geological and archaeological sites, parish churches, castles, old battlefields, and more. If you have a specific interest, I’d do some research beforehand to find places to put onto your itinerary. 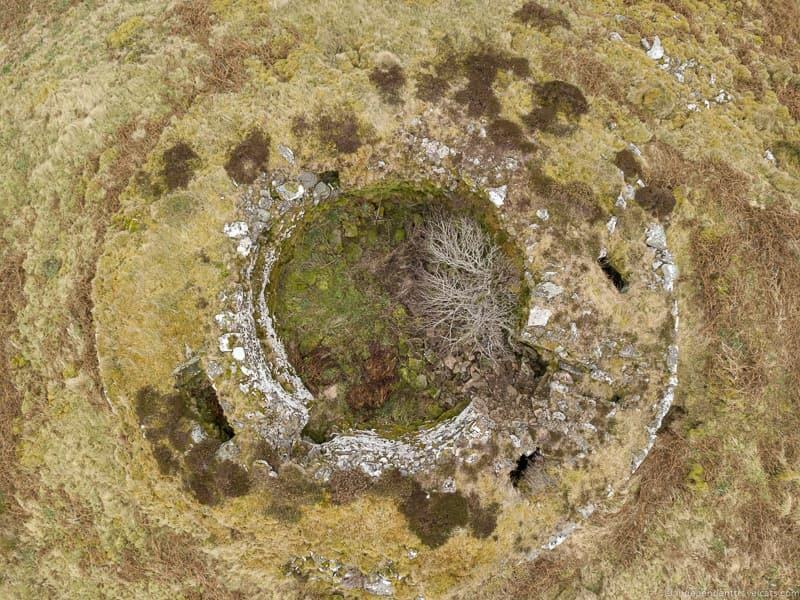 For example those interested in Pictish history might want to follow the Pictish Trail in Easter Ross, and those interested in brochs might want to get information from the Caithness Broch Project (brochure here). 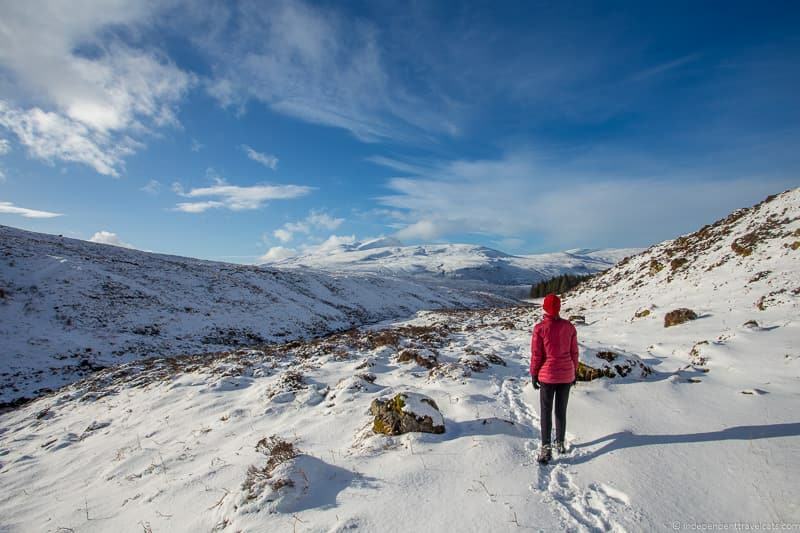 For those wanting a bit of everything try a trail like the Strathnaver Trail which includes a variety of historical and cultural sites like Pictish stones, cairns, brochs, stone circles, a museum, and Highland Clearances villages. Another one is the Yarrows Archaeological Trail. Those interested in a specific clan history will definitely want to do their research ahead of time to find relevant stops. For example those interested in Davidson clan history might want to follow the Davidson Trail (also heads south to Aberdeenshire), book a stay at the Tulloch Castle Hotel, and visit the hotel’s museum and nearby Davidson graves. You’ll find interesting cultural and historical sites throughout the route, although you’ll find a higher concentration along the eastern coast between Inverness and Thurso as it is (and probably always has been) a more populated area than the north and west coasts. Stopping at museums and visitor centers can help provide background context (what is interesting about the pile of rocks you are about to see? ), an opportunity to see well-preserved artifacts, and gives you the opportunity to get local information on nearby historical sites to visits. 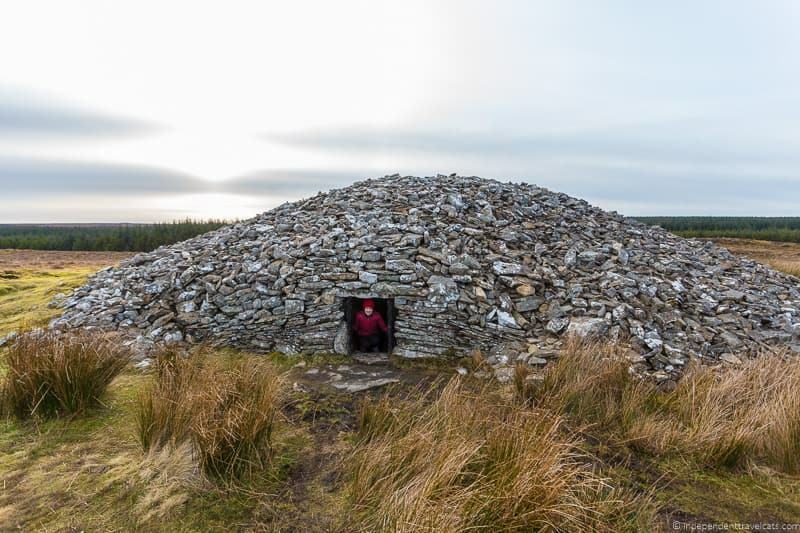 Museum staff can often point you to relatively unknown sites like cairns, brochs, Pictish stones, ruined castles, historical buildings, monuments, parish churches etc. in the local area. There are a high concentration of museums and historical attractions in and around Inverness such as Inverness Castle, Inverness Museum & Art Gallery, Ship Space Maritime Museum, Fort George, Clava Cairns, Cawdor Castle, Culloden Battlefield, and Urquhart Castle. A sampling of those sites around the rest of the route are: Beauly Priory, Hugh Miller’s birthplace, Groam House Museum, Tarbat Discovery Centre, Dunrobin Castle, Timespan Heritage & Art Centre, Wick Heritage Museum, the Strathnaver Museum, Castle of Mey, the ruins of Ardvreck Castle, and Dingwall Museum. Sadly the Caithness Horizons Museum in Thurso, which we enjoyed, closed in January 2019. Not to mention all the cairns, brochs, Pictish stones, ruined castles. and other relatively unknown sites along the way! If you have a strong interest in history and cultural sites, we’d recommend checking out the National Trust for Scotland and Historic Environment Scotland websites, as both manage many of Scotland’s historical sites. If you are traveling around Scotland, you may also want to take a look at the Historic Scotland Explorer Pass (includes entry into over 70 sites such as Urquhart Castle, Fort George, & Edinburgh Castle) and/or the Scottish Heritage Pass (valid April to October, includes over 120 sites including Edinburgh Castle, Urquhart Castle, Culloden Battlefield, Brodie Castle, & Hugh Miller’s Birthplace). These passes may save you money if you are planning to visit a lot of historical properties during your trip to Scotland. Those interested in Scottish wildlife should be able to find a number of spots of interest. Local wildlife include deer, squirrels, pine martens, birds of prey, seabirds, and sea mammals such as dolphins, whales and seals. Good areas to spot wildlife are within wildlife and bird reserves protected by the Scottish Wildlife Trust and the Royal Society for the Protection of Birds (RSPB). If seeing wildlife is a main focus of your trip I’d recommend contacting Speyside Wildlife as they offer both set group tours (including a NC500 tour) as well as personalized tailormade wildlife tours throughout Scotland. We’ve done a tour with them elsewhere in Scotland and had a very positive experience, and saw a number of birds and animals we would have been unlikely to spot on our own. For those interested in marine mammals (whales, dolphins, seals, porpoises), you have a chance to see them along much of the route as it hugs the coastline. The section between Inverness and Thurso has a lot of popular viewing spots. Chanonry Point (one of the most popular spots), North Kessock, Fort George, and Spey Bay are popular places near Inverness to spot bottlenose dolphins and other sea animals. The Scottish Dolphin Center at Spey Bay and the Seadrift Centre near Dunnet Bay are good places to stop for more information on area wildlife. For whale watching, we’ve been told that Duncansby Head, Dunnet Bay, Strathy Point, Clachtoll Beach, and Stoer Lighthouse are popular spots for whale watchers as well as other marine animals. 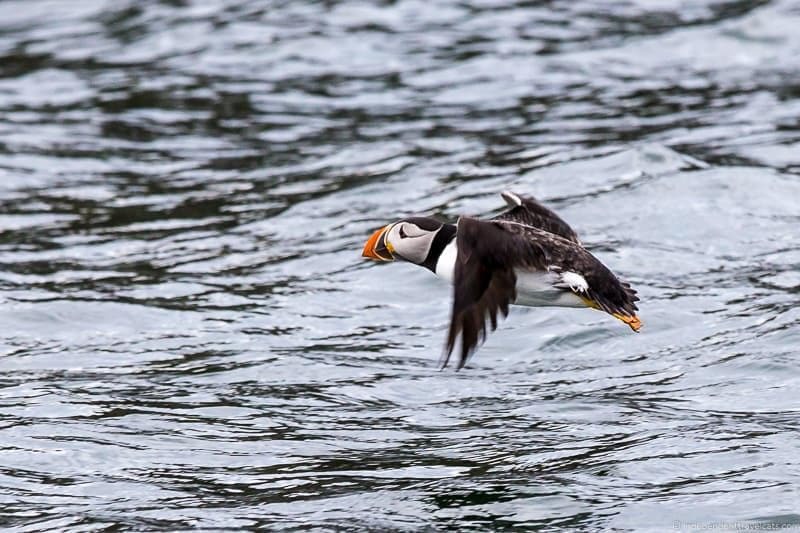 There are a number of wildlife boat tours you can take, including ones from Inverness, Cromarty, Avoch, Wick, and John O’Groats, for a better chance to see wildlife closer up. For birdlovers, I’d highly recommend checking out the RSPB website for information and you can visit one of their visitor centers or contact them with specific questions. They can provide information on local species and best places and times of year to see them depending on the kind of birds you are most interested in seeing (e.g., ospreys, seabirds, waders). The RSPB has several reserves around or near the NC500 that help protect the local wildlife. Two of the more well-known are Dunnet Head Nature Reserve (excellent spot for seabirds) and Forsinard Flows Nature Reserve (special blanket bog environment, great for waders). But birds are everywhere and we’ve also seen lots of seabirds around Strathy Point, Loch Fleet is a popular breeding spot for ospreys, and eagles are not uncommon to see around the mountain areas. The Orkney Islands (can be reached by ferry from John O’ Groats) and Handa Island (seasonal ferry from Tarbet) are also great places for seabirds. 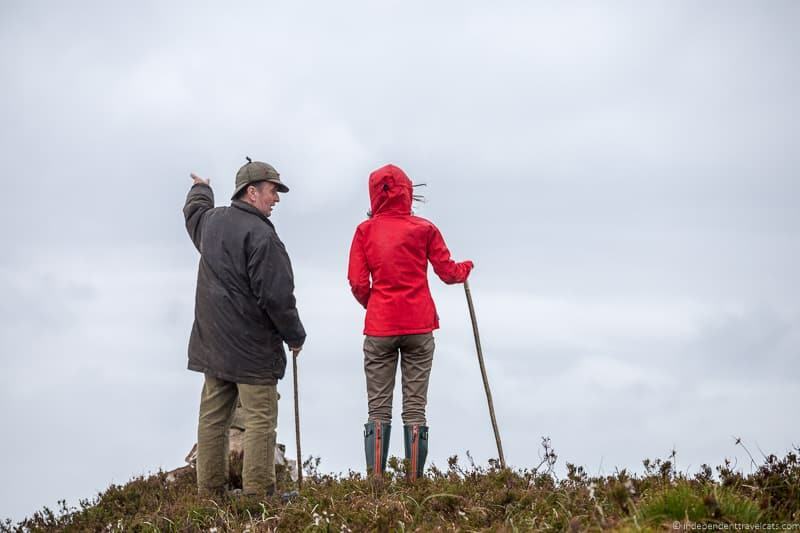 Deer lovers can spot red deer and roe deer throughout the Scottish Highlands and the best time to see them is early in the morning in the fields away from villages. We’ve seen hundreds of them, especially red deer, along the western and southern parts of the route. In winter we spotted them throughout the day as the snow in the mountains and hills bring them down to search for food at lower elevations. Just be careful when driving along the NC500 in the early morning and evening hours as deer often run across the roads. 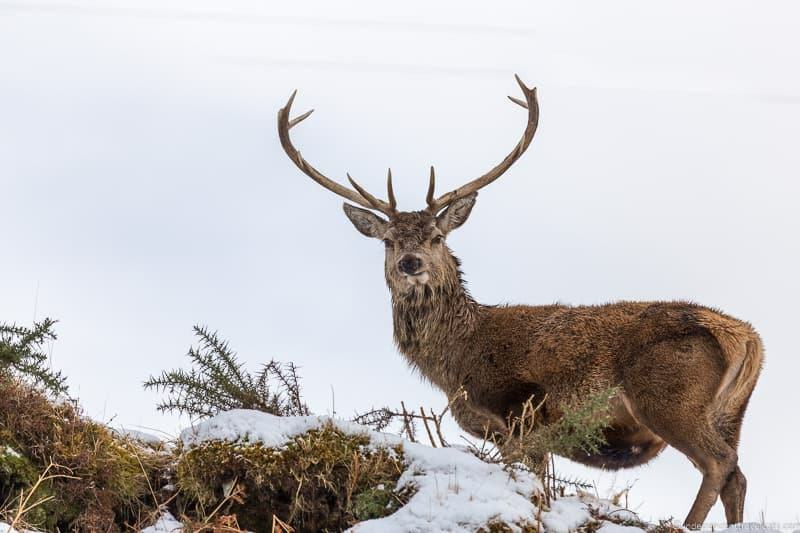 If you want to get really up close to a large herd of deer, we can recommend a guided tour with gamekeeper Colin at Reraig Forest near Lochcarron. Of course if you are more interested in domestic animals, you’ll spot loads of sheep as they are everywhere! You’ll also see horses and cattle, including the iconic Highland coos in the fields along the NC500 route. Scotland is known worldwide for lots of things, such as whisky, bagpipes, and golf, but it is also famous in more academic circles for its geology and geology history. For example, you have James Hutton, a scientist from Edinburgh, who is known as the “Father of Modern Geology”. You also have famous Victorian British geologists Ben Peach and John Horne who discovered the Moine Thurst in the northwest Scottish Highlands, demonstrated that older rocks could move onto younger ones, and wrote the now classical geoscience memoir The Geological Structure of the North-West Highlands of Scotland. There are interesting geological spots around the North Coast 500 (and Scotland) but the best place to go is definitely the North West Highlands GeoPark. The North West HIghlands GeoPark is a designated UNESCO Global Geopark and it covers a large section of the northwestern part of the route. 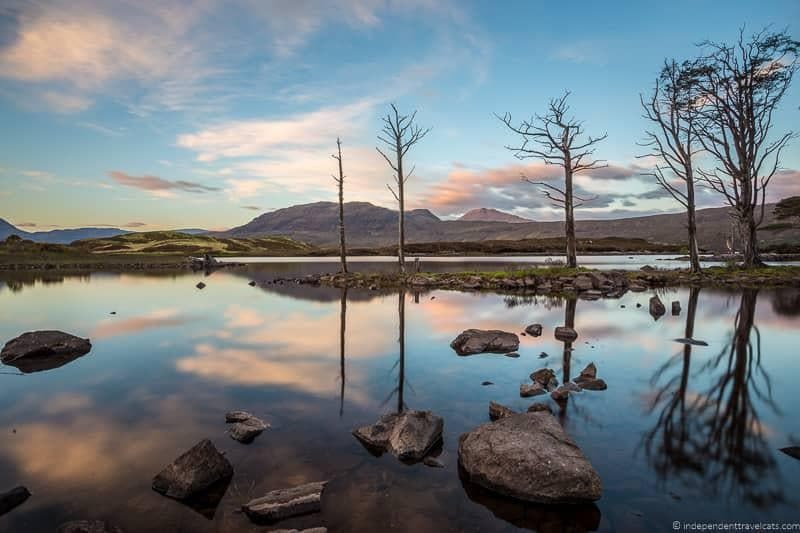 It was within the North West Highlands GeoPark that Peach and Horne made their important geological discoveries, and it is also home to the oldest known rocks in Britain and some of the earliest known evidence of life in Europe. The Lewisian Gneiss rocks are estimated to be 3 billion years old! 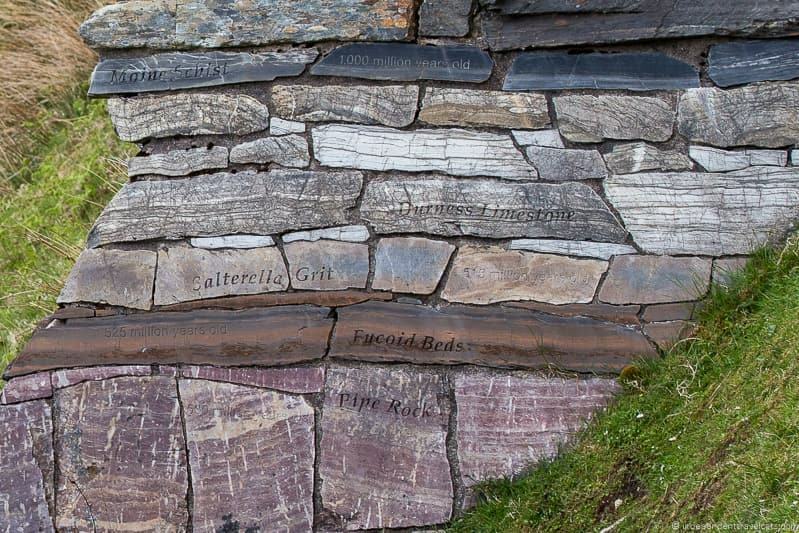 There are a wide array of other rock types in the geopark including Torridonian sandstone and limestone. Those with a strong interest in geology may want to visit the stone memorial to Peach & Horne near Loch Assynt and visitors can even stay in the same hotel as the two Victorian geologists, the Inchnadamph Hotel. Don’t worry if you have never heard of Peach and Horne, the Moine Thurst, or Lewisian Gnesiss rocks! You don’t have to know anything about or even like rocks to enjoy the North West Highlands GeoPark. The park covers a large and diverse area of the northwest part of the North Coast 500 and also includes a number of important cultural, archaeological, and natural sites like crofting communities, ruined castles, scenic viewpoints, brochs, wildlife watching spots, historical monuments, mountains, historic fishing villages, and sandy beaches. This area is probably one of the most photographed areas along the North Coast 500. If you are driving the North Coast 500 counterclockwise (our preferred way), then a good first stop is The Rock Stop in Unapool, the NW Highlands GeoPark visitor center and cafe. This is a good place to learn about the park, get information and maps, play with the interactive sandbox exhibit, and also stop in for a coffee or sandwich. Some of the most popular stops within the GeoPark include Smoo Cave, Knockan Crag (great information and trails), Inchnadamph Bone Caves hike (2.8 miles or 4.5 km round trip), Ardvreck Castle, Clachtoll Beach, and Achmelvich Beach. For getting off the main path a bit, we recommend following some of the Pebble Routes (you can download the routes online or pick up info at the Rock Stop) which point out some of the lesser known sites and routes within the GeoPark, some on and some off the North Coast 500. Scotland isn’t a big beach destination due to its climate but that doesn’t mean it doesn’t have beautiful sandy beaches you can enjoy from the shoreline. 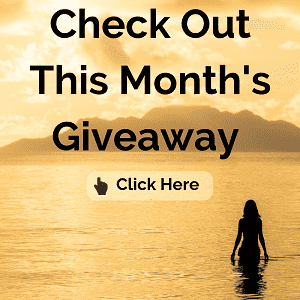 In fact is has some beautiful white and brown sandy beaches that could rival the beaches of many other countries better known for their beaches. You’ll find beaches here and there along the entire coastal section of the North Coast 500. During much of the route you are no more than 30 or 40 minutes drive from a sandy beach area. Some of the beaches along the route include Rosemarkie Beach, Nigg Beach, Embo Beach, Dunnet Bay Beach, Farr Beach, Sandwood Bay (this one requires a long hike to reach), Balnakeil Bay, Clachtoll Beach, Mellon Udrigle Beach, and Achmelvich Beach. As you can see from just the list above, there are many to choose from if you enjoy beaches. The best way to find nearby beaches is to simply look for signs as you are driving as most are signed from the road and located right off or a short drive from the NC500. Just note that some of the smaller beaches may partially disappear during high tides and storms! As noted earlier, the water is fairly cold year round but people do sometimes swim close to the shore in the warmer months. Some people also snorkel, dive, and even surf but you’ll want proper experience and equipment if interested in these activities. Most beaches do not have lifeguards or patrols, and most do not offer any services (e.g., food, water, toilets, showers, waste disposal containers). So bring in anything you need and be sure to pack out anything you bring to keep these beaches beautiful. 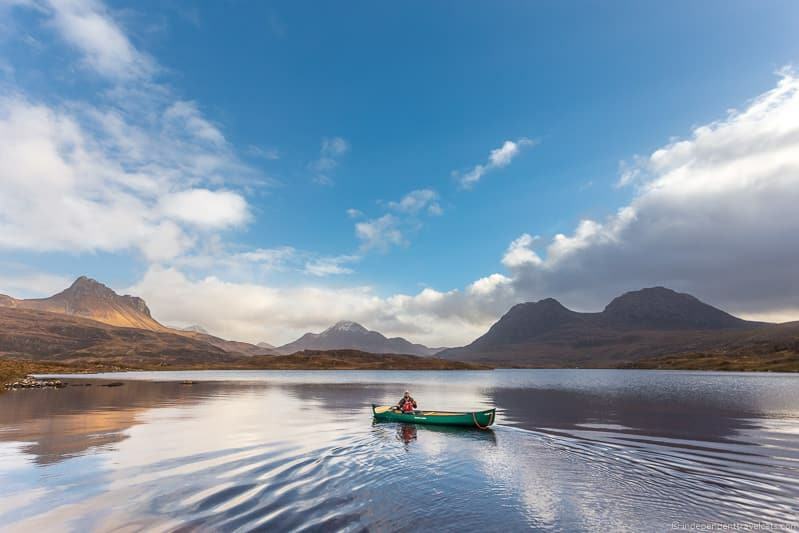 The North Coast 500 route covers some of the most remote areas of mainland Scotland, so if you are looking to get away from it all and experience some stunning wilderness, this is the place to be! This is an area where you are almost guaranteed to see more sheep than people. You can easily get lost amongst the small villages, mountains, rugged coastline, and rural farmland. The single-track roads make you slow down and move at a slower pace. It is easy to find lots of time to think, relax, and get a break from the routine of one’s daily life. Of course, depending on the time of year you drive the route some of the major sections of it might be busier than others. Traveling off-season (October to April) is an easy way to guarantee that there will be fewer people along the route. However, there are always opportunities to get away no matter when you drive the North Coast 500. Get out of the car! Many historical monuments, museums, archaeological sites, and beaches along the route receive a relatively low number of visitors as a lot of people spend more time in their cars than actually visiting attractions. Go out walking, hiking, or climbing. There are probably a hundred trails along the North Coast 500 and most are not busy. We’ve often been on trails where we didn’t see anyone else. If you do a multi-day hiking or mountaineering trek, your chances of seeing few people are very high! Choose lodging, campsites, and hotels based outside of city and town centers for a more secluded experience, and the opportunity for peaceful morning and evening walks. Consider private self-catering cottages or apartments if you want to stay alone and cook your own meals. Hire local guides to help you find the best lesser known spots for things like climbing, fishing, or birdwatching. They can also provide invaluable local information. Focus your trip on a theme or two, such as exploring historical sites, seabirds, whisky, hiking, or clan history. A focus will definitely lead you to lesser known sites along the route. If you are OK with tent camping and bringing all your own supplies, you can go wild camping and stay in more secluded areas. Get off the NC500 route and explore towns, roads, and attractions off of the North Coast 500. You don’t have to stick to the road! Head out early to get a start on the day and get to more popular attractions before they get busy. Instead of driving around the full route, explore one area or two in-depth. 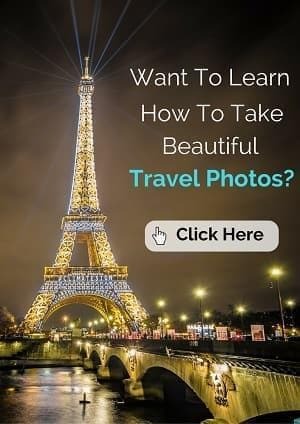 This is one of the best ways to come across lots of lesser visited attractions, trails, and sites. We’ve spent a week in some areas along the North Coast 500 and still haven’t seen everything! If you’re a lover of the outdoors, and in particular, camping, the North Coast 500 is going to be perfect for you. 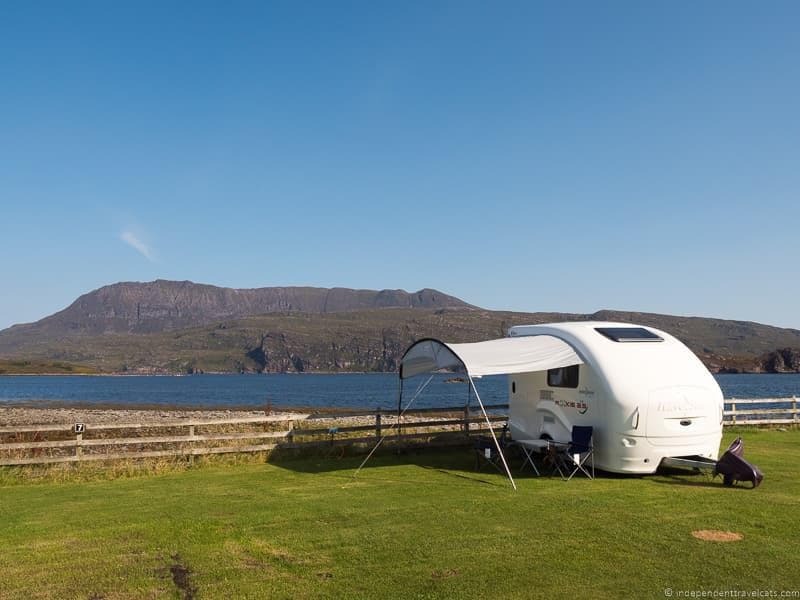 Whether you are planning your trip with a campervan, RV, caravan, or motorhome, or planning to bring a tent and sleep under the stars, the North Coast 500 makes a wonderful camping destination. There are campsites, dump sites, and other camping facilities throughout the route, and many are located near the scenic coastline. We’d recommend traveling the North Coast 500 in the smallest sized vehicle you need to best navigate the narrow single track roads, passing places, and tight turns. A smaller vehicle will also make it easier to find parking as parking space can be limited as smaller sites. Some roads along or off the North Coast 500 are restricted to larger campervans and motorhomes, but the majority of the route is open to all vehicles. If you have never driven in the Scottish Highlands, we recommend reading up on how to drive on single track roads for information and tips. All those wanting to camp should read the Scottish Outdoor Access Code before traveling to know the local camping laws and environmental policies. Two of the biggest problems with camping is irresponsible waste disposal and litter, so be sure to always collect and pack up all your garbage and waste and dispose of it properly to help protect this fragile environment. We have written a detailed 7 day NC500 camping itinerary to give you some ideas for a camping holiday around the North Coast 500. That post also contains lots of information about what to bring for your camping trip, campsite recommendations along the route, guidelines on wild camping, and tips on planning a NC500 camping trip. There are hundreds of castles in Scotland, from eerie crumbled ruins to Disney-like castles, and the North Coast 500 boasts a good variety. 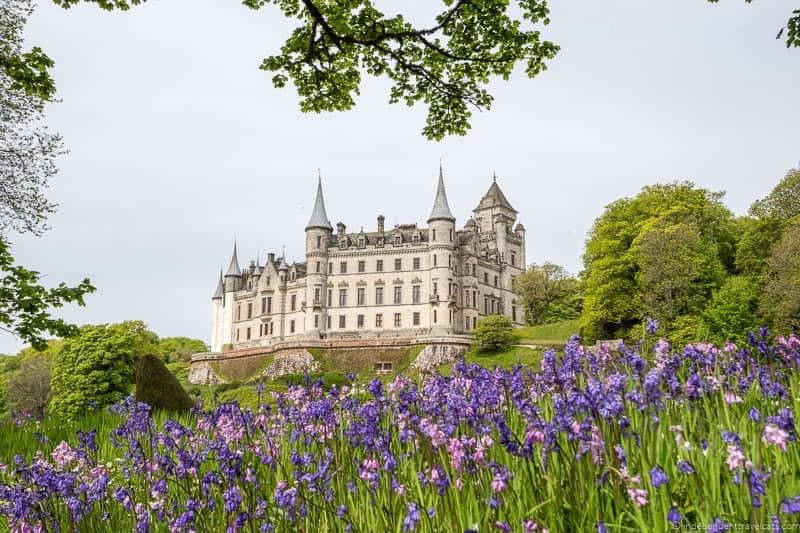 Some of the best preserved on or near the route that allow public visits include Inverness Castle (one tower and viewpoint are open to the public currently), Cawdor Castle, Dunrobin Castle, and the Castle of Mey (former home of the Queen Mother). Some of the ruined castles along the North Coast 500 include several in and around Wick (Wick Castle, Castle Sinclair Girnigoe, and Keiss Castle), Castle Varrich in Tongue, and Ardvreck Castle near Inchnadamph. However, in addition to touring and viewing castles, there are also several castles you can stay in along the route! We’ve spent the night in several castles now along the North Coast 500, and we love staying in historical places so try to do this each time we do the trip. Most of the castle hotels cluster around the Inverness area and eastern part of the route. Castle hotels along the route you might want to consider are Kincraig Castle Hotel, Tulloch Castle Hotel, Dornoch Castle Hotel, Mansfield Castle, and Ackergill Tower. For more on castle hotels along the route, you can check out our North Coast 500 accommodation guide which has over 25 recommended places to stay along the route, from castles to B&B’s and guesthouses. Hope this gives you lots of reasons to drive the North Coast 500 and some ideas for your own North Coast 500 road trip. Once you’re ready to plan your trip, head over to our North Coast 500 planning guide to get started! We also have a photography guide, NC500 hotel guide, NC500 B&B guide, and camping itinerary to help you make the most of your North Coast 500 road trip! Which of these reasons to drive the North Coast 500 appeal to you? 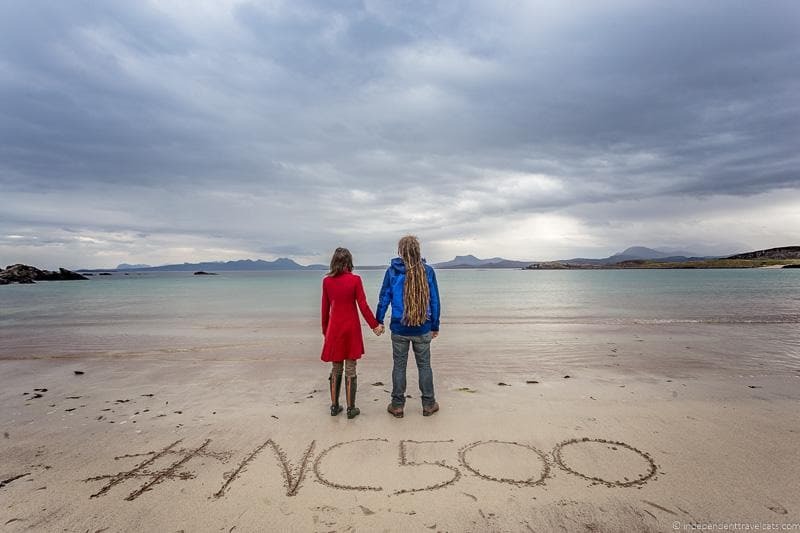 Is a NC500 road trip on your future trip list? 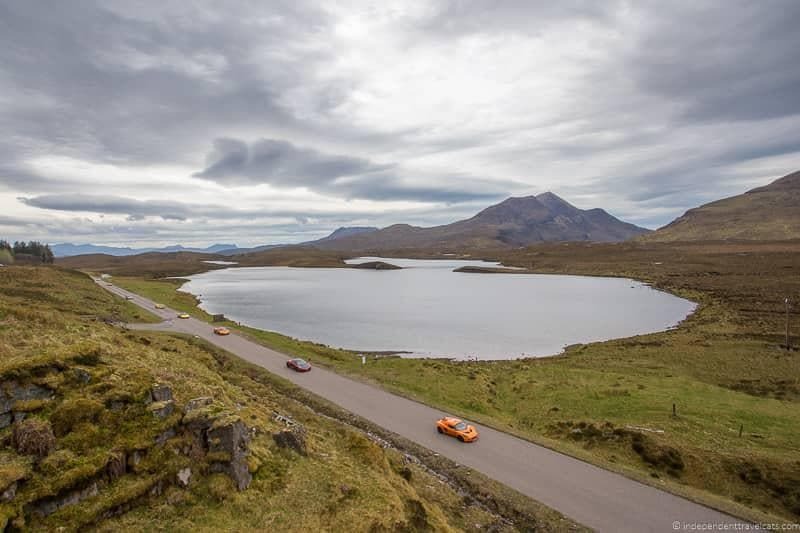 If you have already driven the NC500, we’d love to hear about your own experiences along the route. If you have any comments or questions about driving the North Coast 500 or travel within Scotland, just let us know in the Comments section below! Sounds and looks like a wonderful trail. Would love to explore the west coast by road but haven’t got enough days in Scotland on my rail circuit west (Highlands) to east, in May this year. Any suggestions of groups that do N500? We are aware of two group bus tour along the NC500 which is a 3-day tour from Inverness from Rabbie’s Travel and this 4 Day tour from Edinburgh. We have personally used Rabbies (local Edinburgh based travel company) many times and can definitely recommend them although we have not taken this specific tour with them. We’d also recommend starting in Inverness so as not to lose time on the NC500 driving back and forth from Edinburgh (unless you need to start from there). Your website is awesome with so much information. It is hard to drive the North Coast 500 or would it be better to go on a 3 day tour? That is a difficult question to answer as it depends on your driving experience and if you are OK driving on single track rural roads or not. It is not difficult but it can be challenging for inexperienced drivers. See our NC500 planning guide and tips for driving on single track roads, and after reading those, it may help you decide if driving or a tour is a better option for you. If you only have 3 days, a tour may be easier to avoid renting a car and 3 days is not a lot of time and a tour would ensure that you at least get to see the highlights along the route. If you have more time (say 5 days or more) than driving may be better as you can go slower, see more attractions, and take time to do some hiking etc. If you decide to take a tour, we recommend this 3-day tour from Inverness from Rabbie’s Travel. Excited to hear that you are planning a trip to Scotland for next summer! Now, the North Coast 500 is not near Edinburgh or St. Andrew’s but runs in a circular route around the very northern bit of Scotland. So after St. Andrew’s we would recommend taking the coastal route you mentioned through Aberdeenshire and around through Nairn to reach Inverness. 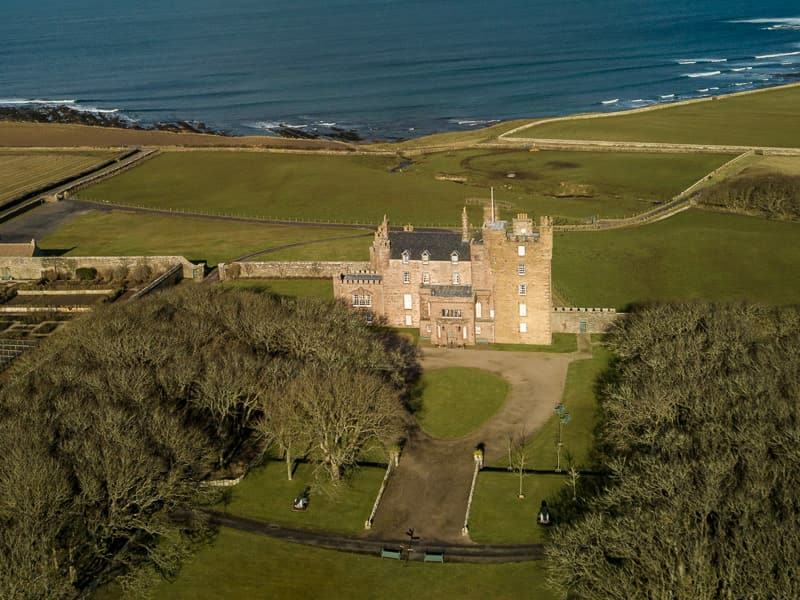 It’s a scenic route (its actually part of a different scenic route called the North East 250) and there are lots of interesting places to stop along the way, including castles, museums, beaches, historical sites, and plenty of golf courses. The North Coast 500 begins (and ends) in Inverness and so you can (and will as its the main road) take a short part of the NC500 from Inverness to Dornoch. Inverness is worth stopping to explore, it is the largest city in the Scottish Highlands. One place you might want to explore on your way to Dornoch if have time is the Black Isle, which is located between Inverness and Dornoch. Dornoch is a nice small town with some interesting history. And, yes, there are 2 golf courses in Dornoch and one is a championship course and the best rated course along the route. If you are staying and playing golf there, a couple good places to stay are the Royal Golf Hotel or Links House (both next to golf course). There are several other golf courses along the route as well and north of Dornoch there are for example golf clubs in both Golspie and Brora. On your way back to Edinburgh from Dornoch, you have a number of options. You might consider planning a stop at Loch Ness and Urquhart Castle which are not too far from Inverness. Then you might want to continue down to explore a bit of the western part of the Cairngorms National Park (nice scenery, hiking trails, great birdwatching area, castles, whisky distilleries, animal park, golfing) and you could overnight in Aviemore or Dalwhinnie. Or alternatively instead of the Cairngorms head from Loch Ness down to Fort William (interesting town) and visit Glen Coe (beautiful scenic area). You could overnight around Fort William or Glencoe. If you are looking for a luxury stay, Inverlochy Castle is fabulous (but pricey). Hope that helps give you some ideas, and please feel free to ask any further questions you may have as you plan your trip to Scotland! 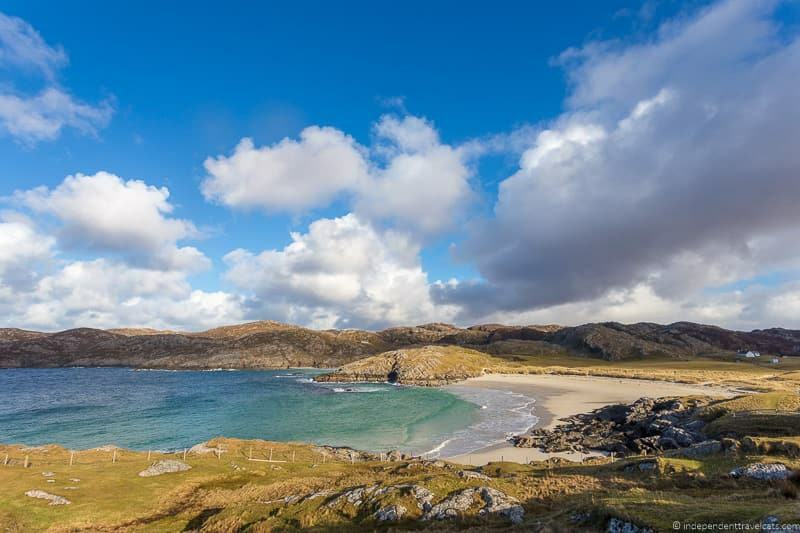 In United Kingdom the Scottish Highlands and islands are home to some of the best beaches. The magnificent stretch of pink-hued beach is bounded by the Am Buachaille sea stack and backed by a broad belt of rolling dunes where it’s possible to find shelter for wild camping. An excellent read! My only question is regarding the section about golf courses. Nairn is not on the NC500, so why is it being given such promotion? Brora, with its excellent golf course is on the NC500 route, and is not even mentioned! Why is this? Hi Gerry, Glad you enjoyed our article on reasons to drive the NC500. As for the golf course question, our mention of golf courses is obviously not comprehensive as it does include Brora or a few others. We mention the Nairn area golf courses as they are some of the better known in the area (especially to international visitors) and they are easy to reach from locations along the North Coast 500. Our goal as travel writers is to provide helpful information to those wanting to enjoy the northern Highlands, and not just the NC500. MAN, I want to do this trip badly. I’m thinking it needs to be bumped up to the top of the 2019 priority list. Are you guys staying there indefinitely? It is difficult to choose a reason to drive this route but I think I would do it for the scenery, wildlife, and food. Those are the reasons why I love road trips. How much time would you recommend the route? Well, at least to have a decent vibe of it. I know that can be a tricky question. I have been wanted to do the NC500 ever since I read your post last year about it. It really is a scenic drive and I just love the culture in Scotland too. I don’t think we can do it this year, but hopefully next! I am not acquainted with Scotland at all but the North Coast 500 is very scenic. 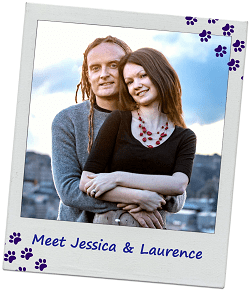 I don’t know if it’s luck or Laurence’s great skill, but all the places you visit seem to be picture perfect! My husband would surely like to try his hand at shooting there some day.